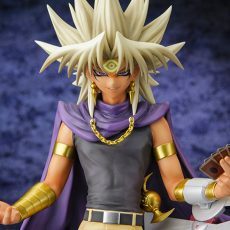 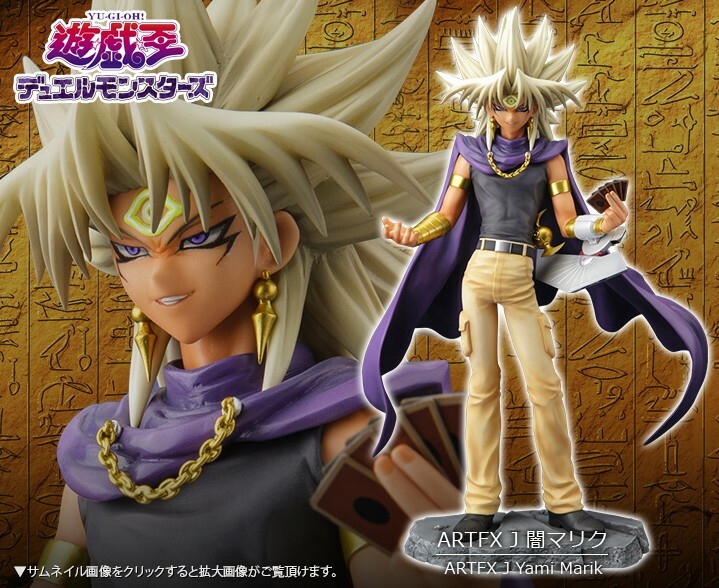 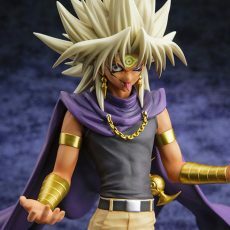 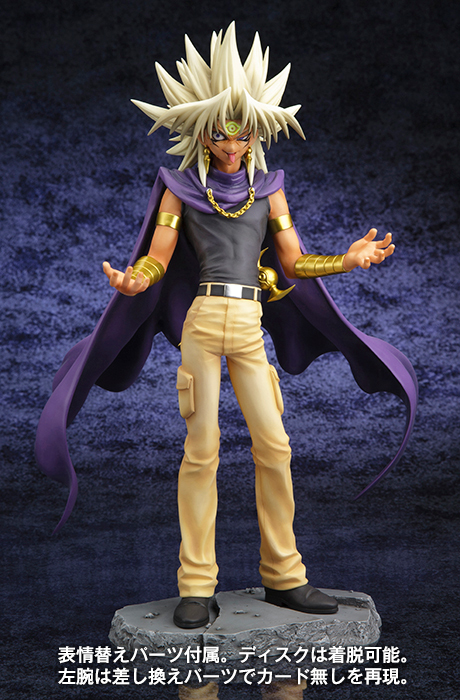 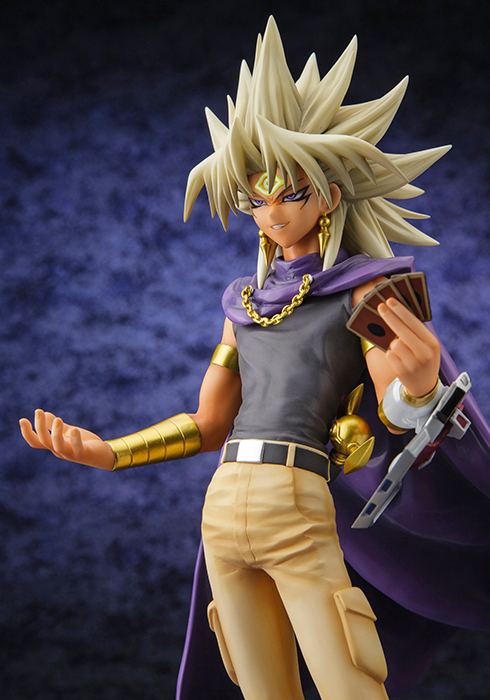 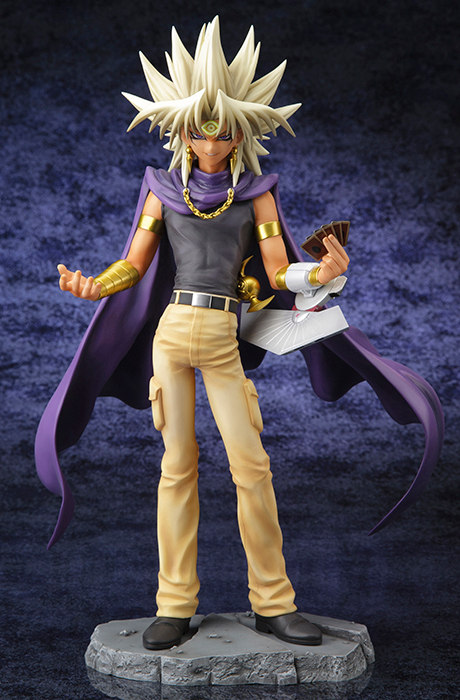 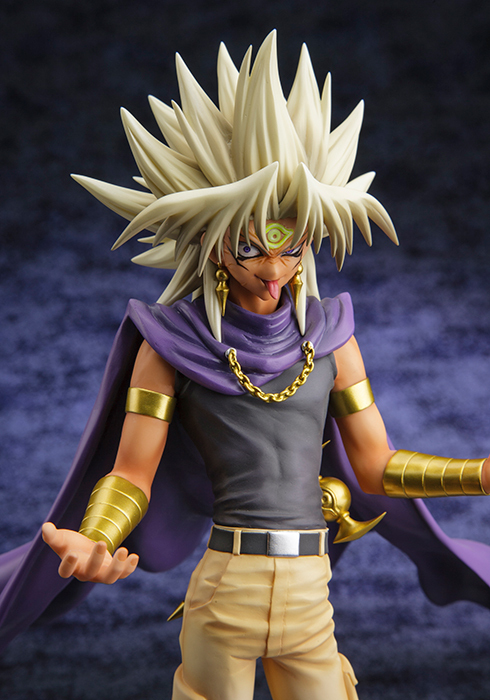 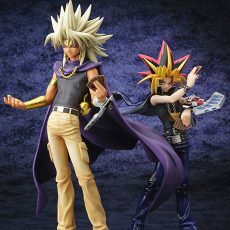 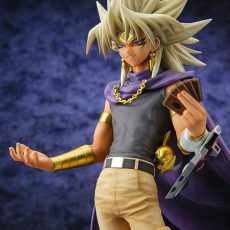 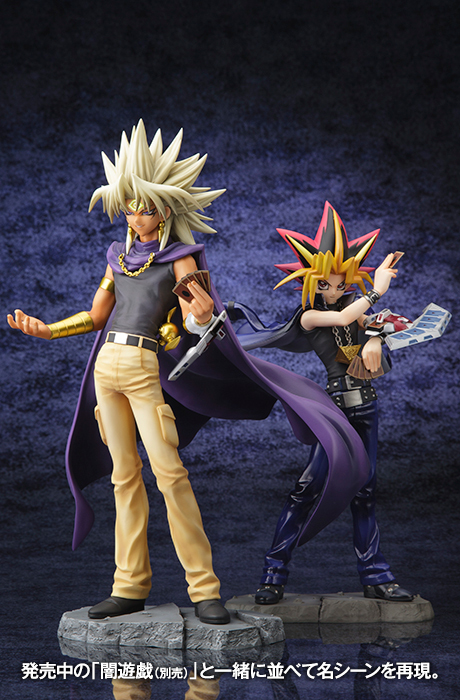 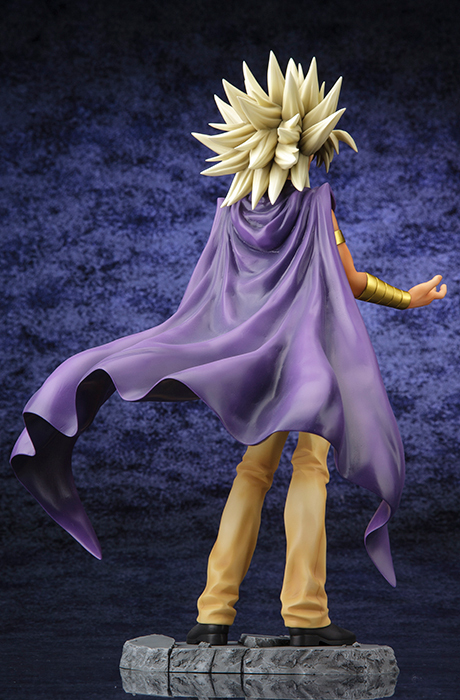 Kotobukiya’s next ARTFX J statue is non other than Yami Marik! 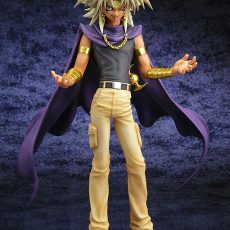 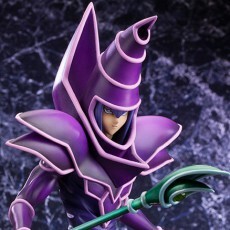 This sculpt faithfully recreates the intense power of “Dark Marik” as he possesses his dark side. 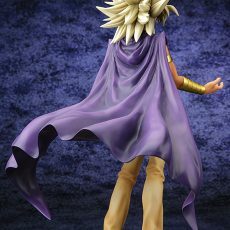 Everything from his characteristic hairstyle and the brilliance of his scarf to minor details such as his earrings have been beautifully crafted so that you can enjoy the figure from every angle. 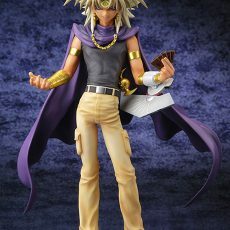 His left arm is replaceable with two interchangeable arm parts (with or without Duel Dist). 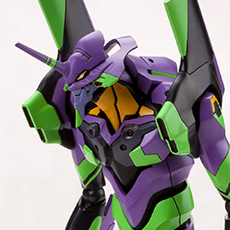 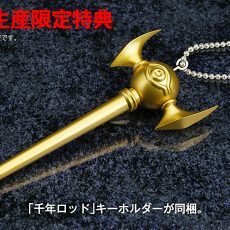 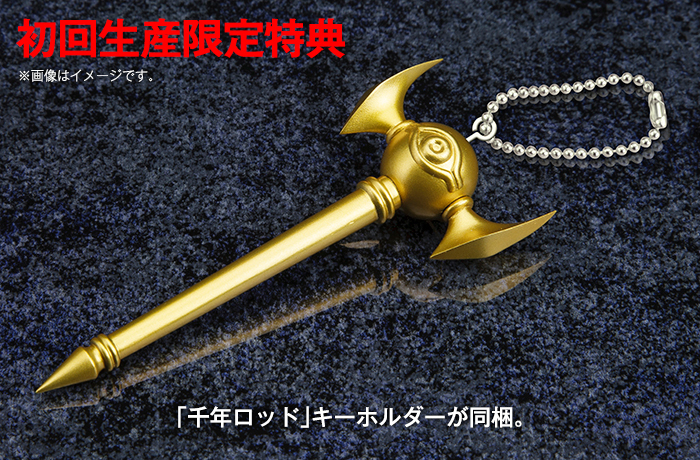 In addition, a bonus interchangeable face part is also included. 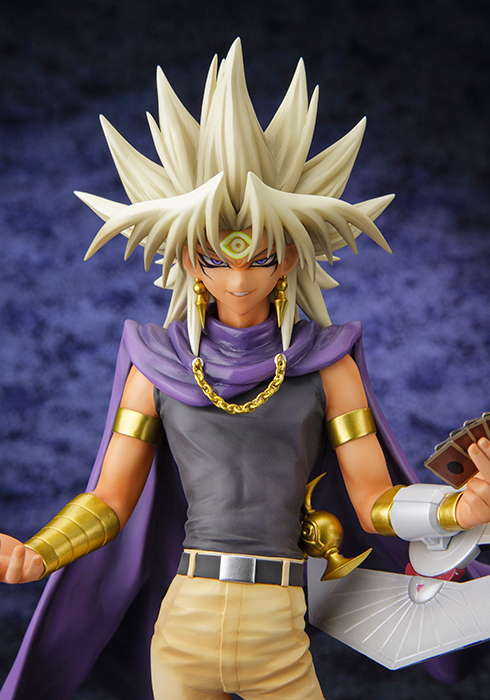 His fearlessly twisted smile all the more depicts his dark appeal. 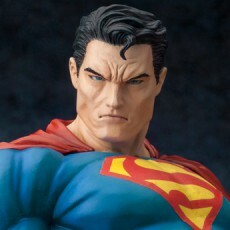 Perfect to be displayed alone or alongside other ARTFX J statues!